In Stock - Requires delivery by April 30, 2019. Berkshire pork, also known as Kurobuta pork, makes the best ham. 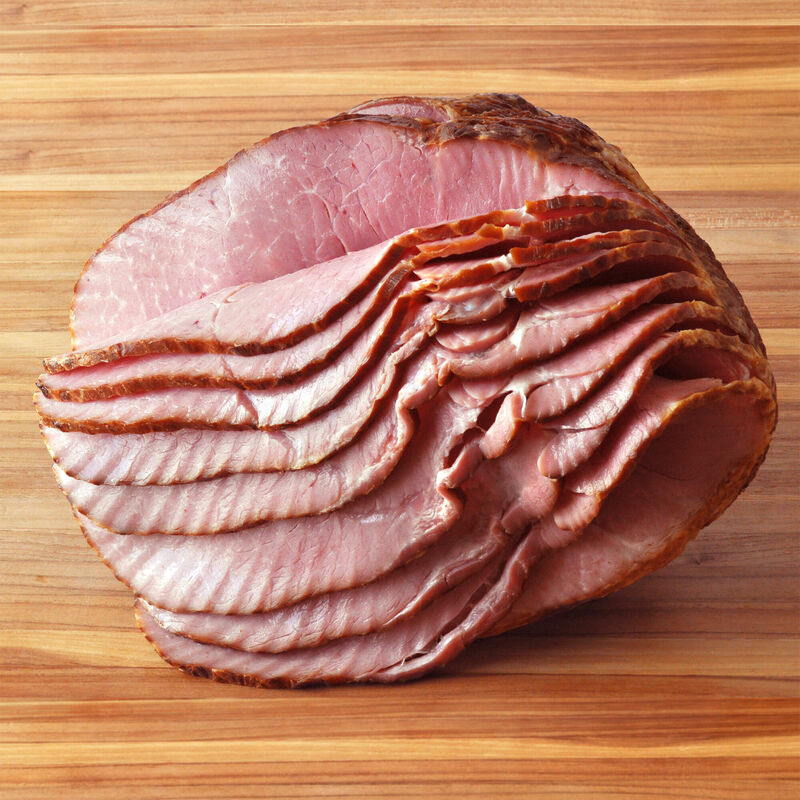 Uncured, fully-cooked, and ready-to-eat, our ham is naturally smoked over applewood without nitrates, nitrites, phosphates, or artificial fillers, and is seasoned with sea salt and raw cane sugar. The Berkshire hogs are raised on pasture, with no antibiotics or hormones, by a cooperative of small farms dedicated to humane and sustainable methods. *Servings based on 8oz per person.